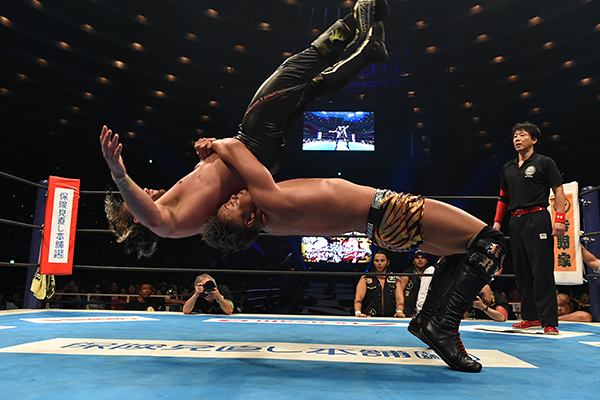 The unprecedented six-star praise of the first match between Kazuchika Okada and Kenny Omega on January 4th had many fans calling it “the greatest professional wrestling match of all time”. Their highly anticipated rematch occurred on June 11th in front of a capacity crowd at Osaka-jo Hall. Expectations were too high. How could Okada and Omega top their last outing? Being that wrestling is subjective, I have a different perspective on what’s good and what’s bad than someone else may have. 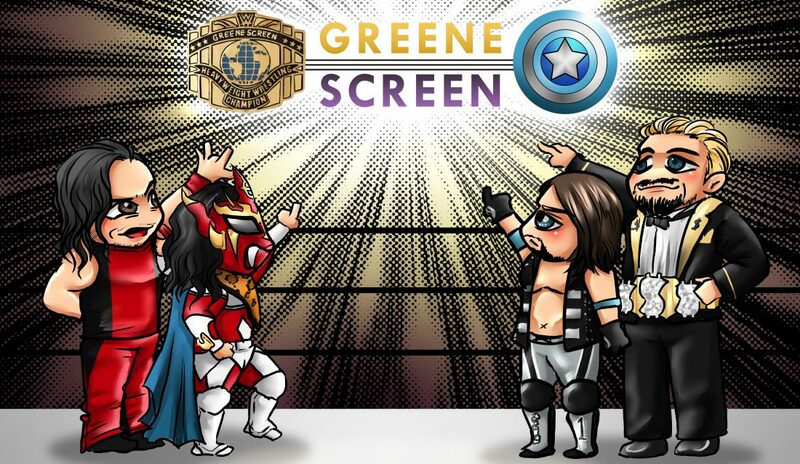 Instead of judging what was better, the question to ask is did Okada and Omega simply add to something great or improve upon the original design? Okada/Omega II was a sixty-minute war of attrition that blew my mind from beginning to end…And I watched it on my phone at three in the morning while trying not to wake up my wife. The match was filled with impressive sequences, increased intensity, more emotion and a great finish that left me wanting more. Chain wrestling in the opening moments was crisp, fast and intense. Omega hit death-defying Asai moonsault off the top rope onto the floor after he had lost his balance and caught himself. Omega attempted a dragon suplex off the top rope, which was a pivotal moment in their first match. Okada blocked it and hit a Death Valley Driver onto the ring apron. Okada proceeded to beat the crap out of Omega. It got to the point where The Bullet Club came out and Cody Rhodes had a towel, looking to throw it in. The Young Bucks stopped Cody while Okada drilled a weakened Omega with the Rainmaker, maintained wrist control and nailed him with another rainmaker. Omega came back and hit the one winged angel, his finishing move that he failed to deliver in their first match and the selling point as to why Omega lost. Too tired to exert the energy to kick out, Okada got his foot on the rope right before the three count. The final moments of the match saw Okada hit a dropkick and a rainmaker with twenty seconds left, however, Okada struggled, crawled actually, to make the cover but the bell rang before he could make the pin. The official result of this six and one quarter star match was a time limit draw. Some felt that Omega should have been the one trying to cover Okada. I like how it was done because Okada being unable to make the lateral press shows that Omega has improved since their previous encounter. Not enough to win but enough to shine a light of doubt on Okada. I assumed that the next chapter would occur next January, however, New Japan has other plans. 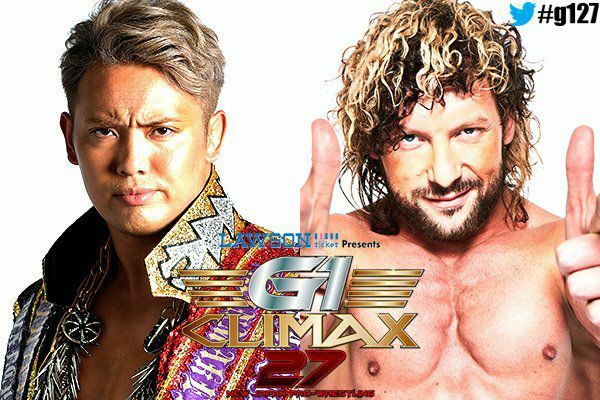 Okada vs. Omega III is set for Saturday, August 12 at Sumo Hall, which will be the last day of the B block portion of the G-1 Climax. This is interesting for a few reasons. Their first two matches went 45 minutes and 60 minutes respectively. All G-1 tournament matches, except for the finals, have a 30-minute time limit. To say this is a short amount of time for these two is an understatement. I expect a crazy match where both wrestlers go for broke from the opening bell. Time will play a big role in this one as fans will be left wondering how either can beat the clock, never mind each other.